This range of baby fresh Pecorini is produced with pasteurized sheep’s milk, pickled for 24 hours and then dried for 7 days before being wrapped. Each baby pecorino is filled with traditional Sicilian ingredients such as dried tomatoes or pistachio. 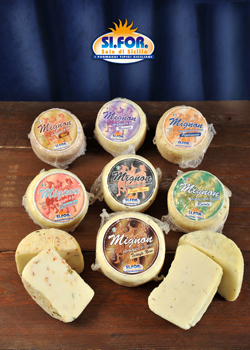 The whole range is composed by 10 different fillings.